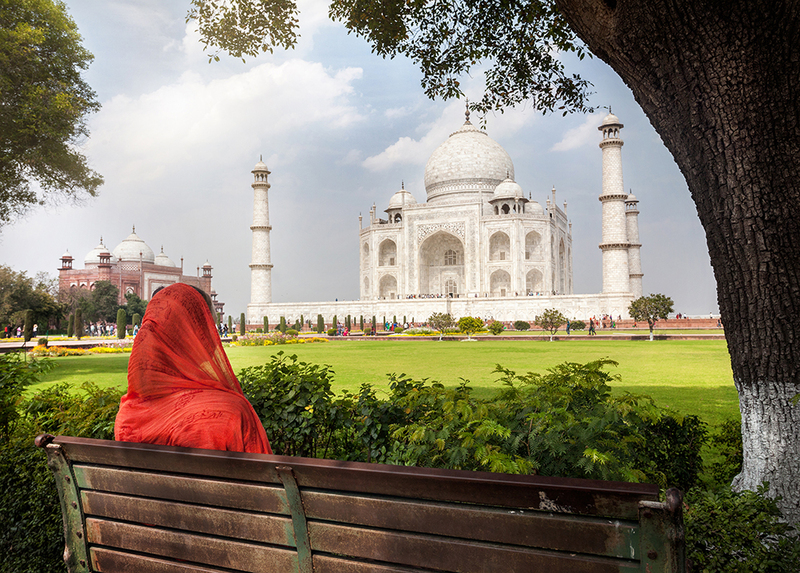 When you’re discovering a new country, it’s easy to find yourself rushing through a whirlwind checklist. But, there is nothing better than having a moment to yourself to really take in the amazing sights you’ve seen, people you’ve met, and all of those incredible experiences you’ve had. Especially, if the view is as good as these. So relax, take a seat and awe at these well-placed benches. Welcome to Canada, welcome to mountains. Along the Kitsilano Beach Park in Downtown Vancouver, you’ll find the perfect perch with an impressive outlook. 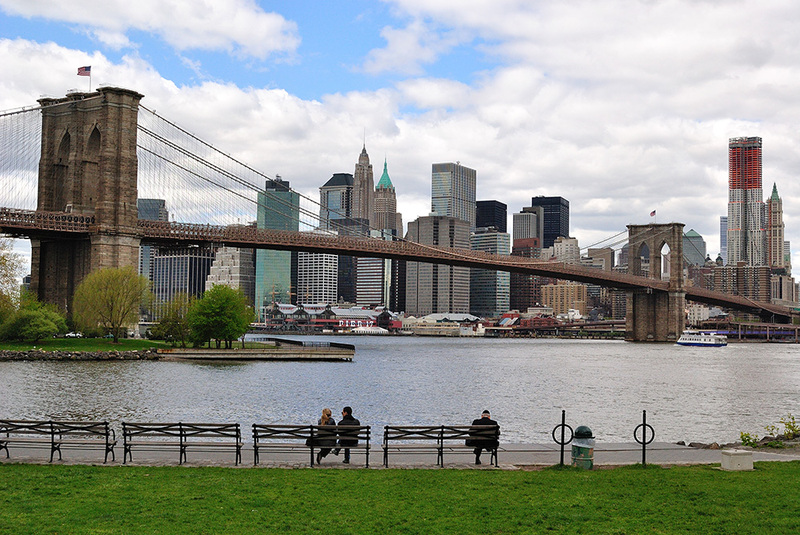 In a city as busy as New York, it’s worth taking the subway out of town to get a view of the Manhattan skyline. Take-out coffee is optional. On the other side of the States is this up-close vista of Los Angeles. 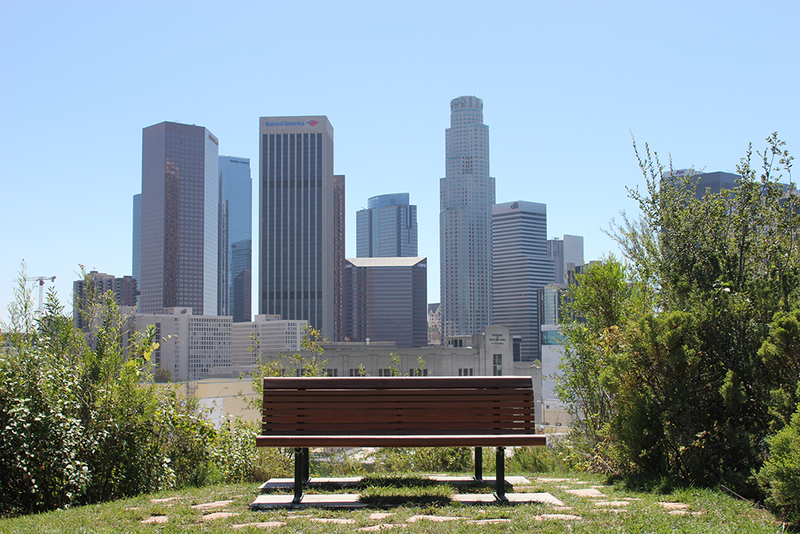 Take a stroll through Vista Hermosa Natural Park, slip on some sunglasses and pretend that you’re a movie star on a well-deserved, extra-long lunch break. 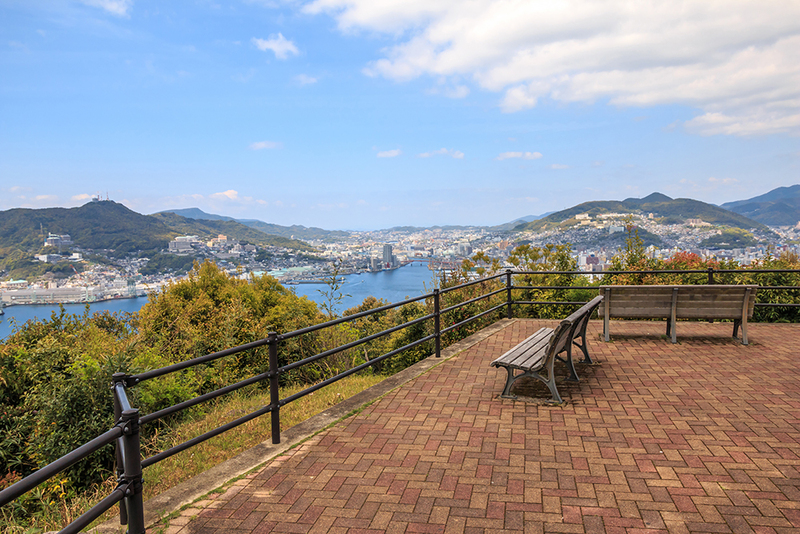 A corner of Japan that is usually left in the shadows of Tokyo and Kyoto, Nagasaki’s mountainous location makes for one impressive seating arrangement. What else can we say? It’s the Taj Mahal! Make sure you wake up early to beat the crowds so you can take in the silence as the sunrises. 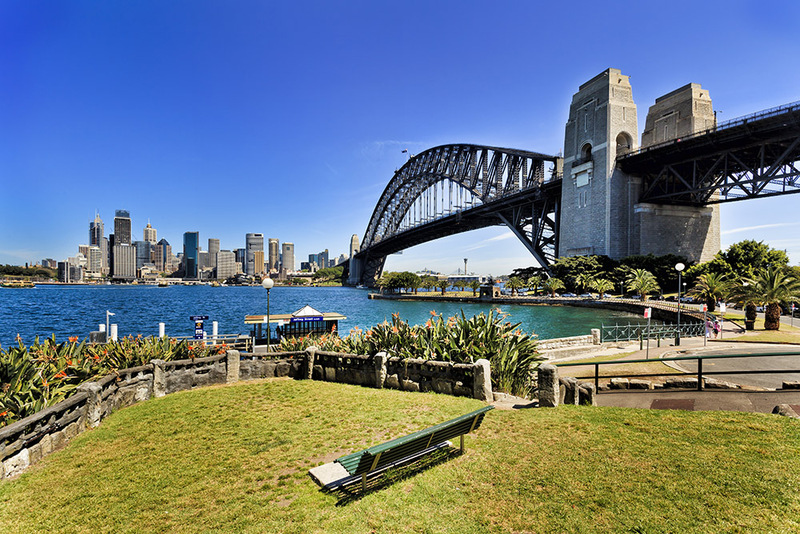 Where better to soak up the Aussie sun than with a view as amazing as this? Fish and chips are a popular choice of takeaway to enjoy while you absorb this mesmerising panorama. Closer to home are the Austrian Alps. 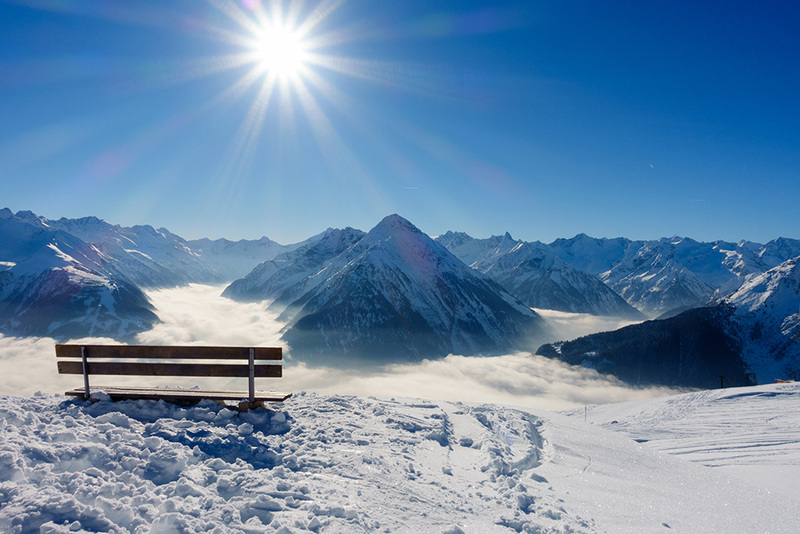 You'll need to be a pretty adventurous hiker to observe this exact scene, but if you’re not keen on the cold this secluded bench is just as beautiful in the summer. 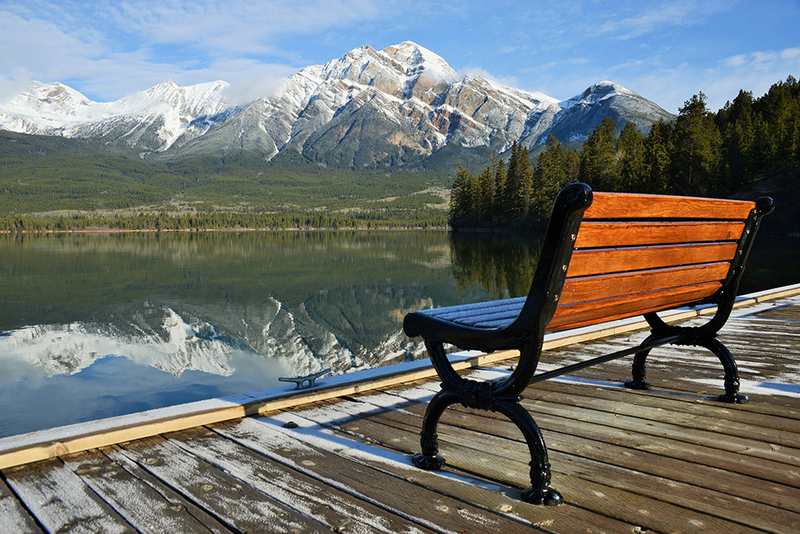 Stay as still as Jasper’s Pyramid Lake from this bench on a floating pier. Take some binoculars to spot the wildlife stopping by for a drink. The ultimate view to share with friends and family. 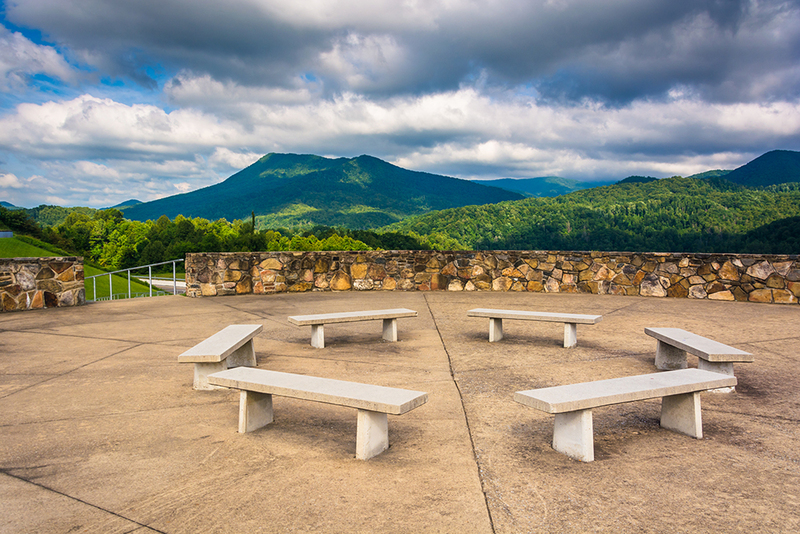 These communal benches overlook the Appalachian Mountains from the Bald Mountain Ridge in Tennessee. 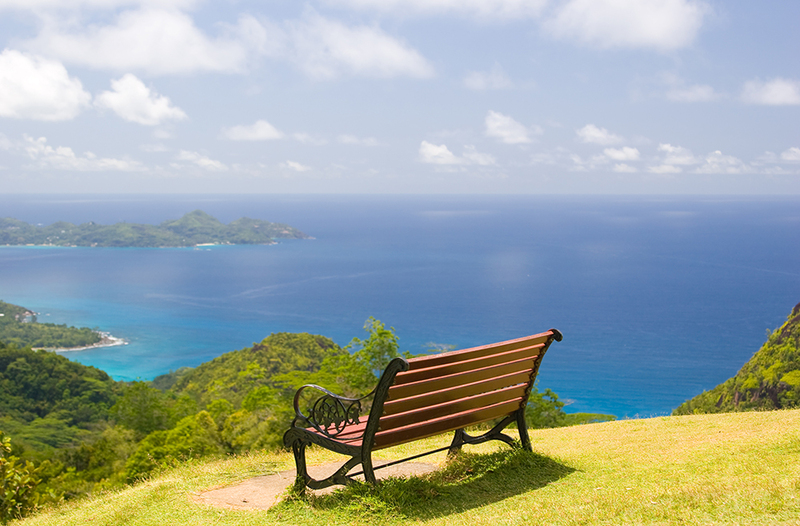 We couldn’t list the best benches in the world without mentioning the Seychelles. Sitting on top of a hill on the Mahe Island, you’ll be able to see the clear blue waters for miles.